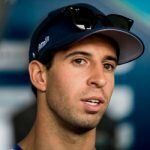 Portuguese rising star Antonio Felix da Costa is a busy man – having been splitting Formula E duties with being a BMW factory driver in the DTM and a Red Bull F1 reserve driver in the past. Even though these commitments have forced him to miss races in Formula E, he still became the only part-time driver to win a race in the inaugural season. His third season in Formula E saw a big change for the Portugese, as he made the switch from Team Aguri to Andretti Formula E, partnering with Robin Frijns. Starting off in karts, da Costa made the jump to car racing in 2008, finishing 2nd in Formula Renault North European Cup in his very first year of competition with one victory. 2009 saw him come back to the same championship and dominate, winning the title with a total of 9 race wins. He also finished 3rd in the more competitive Eurocup with three wins. He continued his rapid ascent up the ladder in 2010, with three wins in the prestigious F3 Euroseries on his way to 10th in the standings. In 2011 he moved across to GP3 and had a disappointing year by his standards, finishing just 13th although he also managed to win a race. 2012, however, was where it all came together for him – after a mid-season call-up to Formula Renault 3.5 to go along with a second year in GP3, his performances exploded in both categories, finishing 4th in the former with 4 wins, and 3rd in the latter with a trio of victories. He capped that off by winning the Macau F3 Grand Prix at the end of the year. 2013 saw him return to FR3.5 as a title favourite, but he was beaten into 3rd place by champion Kevin Magnussen and runner-up Stoffel Vandoorne. In 2014 he joined BMW in the DTM, and in 2015 took his first win in that category at Zandvoort.